Discerning buyers who are looking for sweeping ocean views and that extra touch of something special will find everything they could need or want in Atlantic II in Aventura. Atlantic II rises up to an astounding 29 stories far above sea level and offers the ultimate in luxury and amenities. The residences here offer between two and four bedrooms so that you can choose exactly which size condo suits your needs best. Regardless of which size condo you ultimately choose, you can rest assured that each one offers a wide range of luxuries and amenities. As you enter the building you will be greeted by the sweeping grand entrance, rising two stories and constructed of elegant marble. From there, move on to the semi-private elevators that will take you directly to a private entrance to your own elegant condo. Absolutely no amenities have been overlooked in these gorgeous and plush condos. There is certainly plenty of beauty all around to enjoy. In addition to the beautiful city and ocean view, Atlantic II has been specifically designed with numerous architectural and landscaping touches. The outdoor water garden is rife with tropical landscaping while the cascading waterfall will certainly catch your attention. 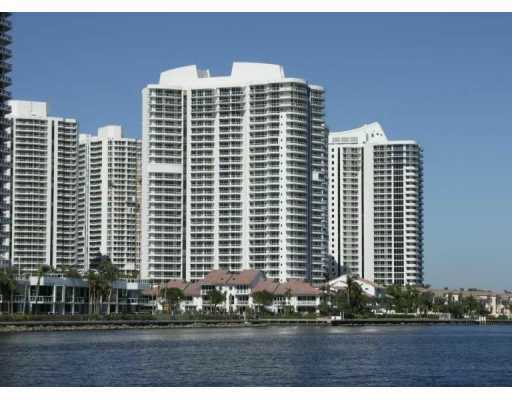 Each condo offers sweeping ocean or city views and generous terraces where you can enjoy all of the beauty around you. The expansive floor plans offer ample space for all of your needs, but should you have private servants there are even quarters where they can be comfortably housed as well. Enjoy having guests over? The tower includes hotel suites to accommodate your guests as well. In addition to your elegant and expansive condo, there are also numerous on-site amenities to enjoy as well, such as a private theater with stadium style seating, a business center, a childrens game room, a gorgeous tea room, relaxing library and even a 24-hour reception and valet service. Residents are also welcome to access the resident club and spa. You will find absolutely nothing lacking. Even your privacy and security has been carefully attended to and assured through camera monitoring and electronic controls for the entire property. You will have access to private two-car garages that open directly up into the building. Gate-controlled security access to the garage ensures that you will never have to worry about unwanted visitors. If you are looking for luxury, privacy and security, you will find it in Atlantic II in Aventura.